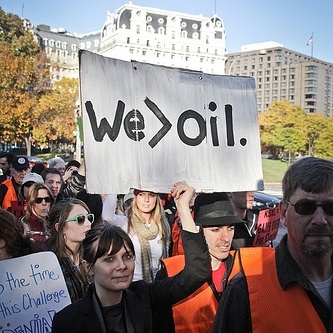 On Tuesday January 24th, we're going to Washington DC to blow the whistle on Big Oil corruption in Congress. We'll be gathering at the Capitol dressed in referee uniforms (yep, stripes and all), and then heading to the American Petroleum Institute - Big Oil's top lobby - to do the same. It will be unavoidable, very visible, and just disruptive enough to absolutely get the attention of the oil industry's representatives in Congress and put them on notice that the era of big oil corruption will soon be coming to an end. Since you're a 350.org member, we've auto-filled your info -- so you can just click the button below to sign up.